here are some information on the "compilations" which were released by apricot records. days, both from sweden and both indie-P!O!P! royals. many songs on this recording are previously unreleased or exclusive. i guess it was three or four o'clock in the morning when the telephone rang. on the other end of the line i heard the gentle voice of our friend christian kracht. christian's voice suddenly disappeared and was substituted by the sweetest melody one could imagine. poppy and cool, light and exotic, dreamy and clubby. i was breathless christian played me various tunes over the phone and my curiosity was rising to extremes. finally he told me the whole story rung who runs the stylish record-label small room had released the most beautiful P!O!P!-music. bands with wonderful names like groovy airline, fashion show or penguin villa. close to P!O!P!-perfection but some-how mysterious and nouveau. something new, something exciting, something fantastic is beginning. apricot records is proud and happy to offer the world the sweets of siam. come and have a look around in the world of P!O!P!-music from thailand. taste and enjoy: P!O!P! has not felt this wonderful and new in a long time! There used to be a famous german tv-commercial with a lady travelling through southern europe and searching for the most delicate cherries she could find. she was working for a company producing sweets. this company was well known for using the best tasting cherries for their chocolates only. well, apricot is not literally producing chocolates with cherries in it, but we're a small but sweet company with a love for sweet music - so we felt intrigued. we travelled the world in order to find the most delicious P!O!P!-bands as ingredients for a totally new drink -a daft wild sparkling strawberry soda! first we went up north to denmark and discovered three pure P!O!P!-sensations: tiger baby, superheroes and labrador; in sweden we met the perishers and loved them from the first chord. we travelled to the u.k. next and collected songs by trembling blue stars and would-be-goods, musicians with releases on labels like sarah, el, shinkhansen and matinée - only the best for our strawberry soda was suitable. In england we met up with birdie and belasco; english P!O!P!-tradition at it's best. then it was time to head up transatlantic: we played golf with lloyd cole in maine, walked on the shores of santa monica with bart davenport and ate tons of ice-cream with majestic in new york. afterwards we took the concorde directly to paris. there we added a bit of french flavour to the soda and assembled songs by orwell and tahiti 80 - the true gourmets of P!O!P! then it was time to return to germany. we took the train all away along the rhine-valley. and when we got off, panamaformat and riviera were waiting in the train-station to pick us up. what you're holding in your hands right now is the result: highly concentrated P!O!P! probably it's more like molasses, not a soda which you drink in one big gulp. just one sip after the other. 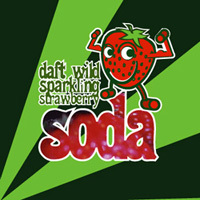 daft wild sparkling strawberry soda could be too sweet and poppy if you listen to it in one session. be prepared! so, off we go – searching for new ingredients for a soda with another exciting flavour. 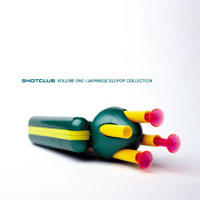 In October 2001 the label Shibuyahot introduced their new "SHOTCLUB VOLUME ONE / JAPANESE ELEPOP COLLECTION". The project Shibuyahot started with the idea of three Japan fans to present the rest of the world the colourful Japanese pop culture and make it more popular beyond the borders of Japan. To reach this aim Shibuya- hot organizes exhibition events as well as club nights named SHOTCLUB -playing only Japanese club music of course. "SHOTCLUB VOLUME ONE / JAPANESE ELEPOP COLLECTION" is the beginning of a compilation series targeting a bigger audience and filling them with enthusiasm for japanese music. Our selection of Japanese pop pearls for volume one is based on electronical sounds called simply "Elepop" by Japanese. "SHOTCLUB VOLUME ONE / JAPANESE ELEPOP COLLECTION" comprises different kinds of music styles -Bossa, Reaggae, Easy Listening, Jazz, Beat or Minimal Techno, offering the listener a closer insight in Japanese "Elepop" music. Brausepulver - ­a substance so special and exciting as P!O!P!-music can be. Imagine yourself lying in park on a sunny day. You're watching children play, ducks in a pond are swimming lazily and silently. Then you open a small package of Brausepulver. Pour the powder on the skin of your palm and lick it. Feel the frizzling sensation on you tongue. It will put a smile on your face and the world is a tiny bit better for a few seconds. That's what we think P!O!P!-music is about and that's why started apricot records. 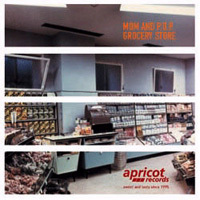 It was 1995 when we released the first record on apricot records. A lot of things have happened in the years between then and now. We have met and worked with many wonderful bands - fantastic artists who share our ideal of how P!O!P! music should be. On this collection you'll find a small selection of apricot flavoured moments - sparkling and light, fresh and sweet, young and light-hearted. We like P!O!P! when we feel the effervescent beauty. 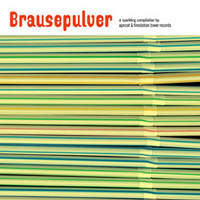 Open your package of Brausepulver and enjoy! the mom and p.o.p. grocery is where you can find you daily treasures, even the small but sweet things you so dearly like. sorry, but it's very very limited and not for sale. in 1988 creation records released "Doing it for the kids" - and it changed our lifes forever; everything was in it: beauty, noise, melody.... Each single song on this compilation was a masterpiece and we did not put the record back in itís sleeve for months. 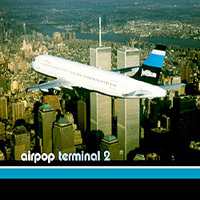 well, 1988 is indeed a long time ago and so we thought that it might be the right time for a compilation in the vein of classic indiepop collections: here comes airpop terminal 2! A meetingplace for the greatest P!O!P!- bands from around the world. On this compilation you'll hear unreleased and hard to find songs by the marvellous spearmint (UK), the glorious cinnamon (Sweden), the young & splendid superheroes (Denmark) and the more than charmingcharming (USA) just to name a few. 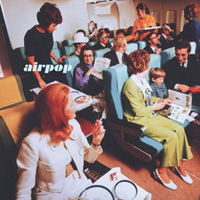 These are songs that will paint twenty-eight different kinds of smiles on your faceì wrote german cult-author Christian Kracht in his liner-notes for airpop terminal 2. so: fasten your seat-belts and bring your seat in an upright-position - P!O!P! is ready for take off.